There are many websites that are about cheese making, there are a few that I go to. CheeseForum.org. The main site has a wiki and lots of recipes and directions. I do like the forums and I often will bypass the main site and just go there. It is free to join and a variety of members, ranging from Artisan Cheese Producers to Amateurs like myself. The University of Guelph in Ontario Cheese site. I have used it from time to time. It is not too bad, but you have to read the main page carefully to know where you are going. 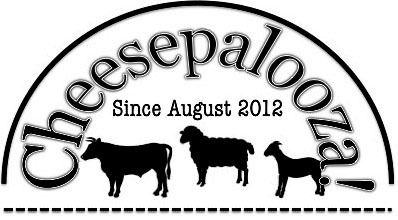 New England Cheesemaking Supply Company has a Cheese making help website/Blog. It showcases home cheese makers, workshops and has great information for those needing help. Gavin Webber in Australia has a few sites but the ones I have book marked are The Greening of Gavin and his Little Green Cheese Site. His videos and directions about cheese are extremely helpful. His version of Caerphilly is by far my favourite to make. handyface’s Blog – Called appropriately, handyface he is an experimental home cheese maker. Deb the locavore’s blog – Called Simple Pleasures is all about living and eating local. Valerie at A Canadian Foodie is the founder of Eat Alberta and has wonderful recipes to share. It is well worth the time to read her site. Addie at The Big Cheese Project is my inspiration for Chevre and his scientific approach to making cheese is refreshing. As an expat from Medicine Hat living in Kansas, I love making my own cheese….just waxed a farmhouse cheddar not ten minutes ago! I LOVE the company cheesemaking.com. Ricki is amazing and I love all of her recipes. Check it out. It is a small world I use to live in Medicine Hat, my mother and sister still do. I have been meaning to update this section. I go to her site for the recipes, the sheep milk cheese I made last weekend was made using a recipe from her site.